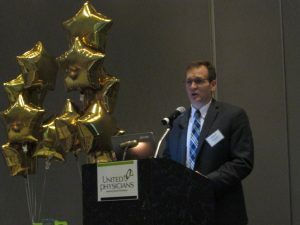 United Physicians’ leadership team is a unique combination of physicians and healthcare administrators with experience in private practice, hospital administration, managed care, ambulatory care, nursing administration, case management and finance. Other managers at United Physicians hail from various health plans and hospital systems. The depth and varied backgrounds of the corporate staff form a culture of enterprise and agility to benefit physician members and their clinical practices.